Elizabeth; Bridget; Mary; Alice; Ellen; Barbara. JAMES TALBOT, of Templeogue, and Mount Talbot, County Roscommon, Colonel in JAMES II's army, was killed at the battle of Aughrim, 1691. Bridget, m Valentine Browne (ancestor of the Marquess of Sligo). Jane, m in 1786 Sir Edmund Stanley. 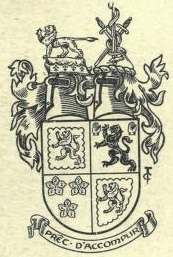 THE REV JOHN TALBOT, assumed, in 1816, the name and arms of CROSBIE in pursuance of the will of his uncle, John, last Earl of Glandore. JOHN TALBOT JP DL (1818-95), of Mount Talbot, High Sheriff, 1857, formerly of the 35th Regiment, who assumed, in 1851, the name and arms of TALBOT instead of CROSBIE. CAPTAIN WILLIAM JOHN TALBOT JP DL (1859-1923), of Mount Talbot, High Sheriff for County Roscommon, 1886, and for Armagh, 1903, who wedded, in 1897, Julia Elizabeth Mary, only child of Sir Capel Molyneux Bt DL, of Castle Dillon, County Armagh, though the marriage was without male issue. Captain Talbot was the last Lord-Lieutenant of County Roscommon, from 1917 until 1922. 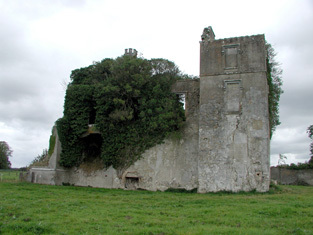 MOUNT TALBOT HOUSE, near Athleague, County Roscommon, today lies in ruins. It was built ca 1750 in the Palladian style, with wings constructed at an angle to the main block, joined by curved arcades. The arcades, which were open, were embellished with urn finials on the parapets. The central block was changed, about 1820, into a castellated Gothic, Tudor-Revival edifice. The main block now had a huge square tower at one end with a pair of pinnacles or miniature turrets; and a third castlellated turret at the other end. 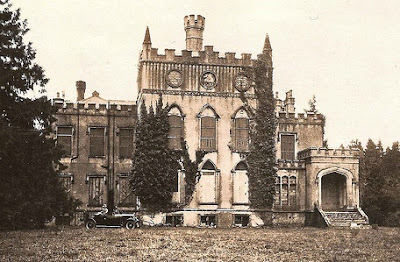 Whereas the garden front boasted a three-bay projection with pointed windows and Gothic pinnacles. 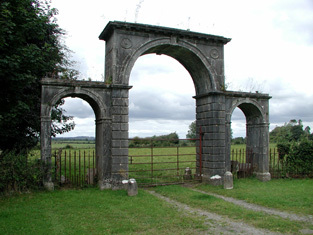 A grand Triumphal kind of arch with rusticated piers still remains at the former main entrance to the demesne. 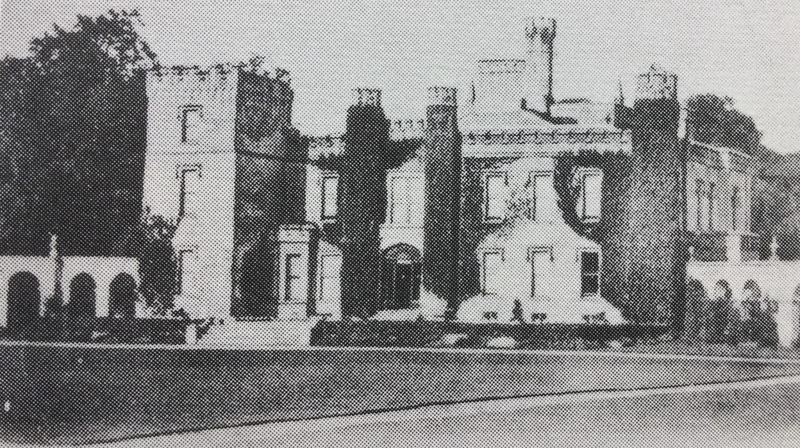 The Talbot family's great ancestral home was maliciously burnt in 1922. William John Talbot and his wife probably never returned. Mr Talbot, the last Lord-Lieutenant of County Roscommon, died in London one year later. 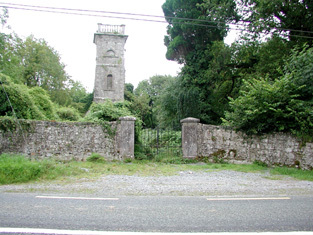 THE charming little church at Mount Talbot, which contains the family mausoleum, was erected by the Talbots in 1766. It has been described as "a plain, neat, Gothic building, erected in 1766 at an expense of £415, a gift from the Board of First Fruits." Its last service took place in 1965, it is thought.